William Gilkerson takes the broad, sweeping history of the human race and puts it into pictures that are at once meaningful, sometimes profound, and always funny. His pen takes us from cave men with rocks to modern bombs and rockets, and depicts the chaos throughout. 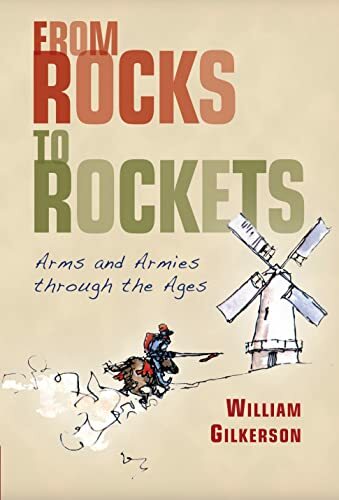 First published in 1963, we are delighted to bring this amusing and glorious look at arms and armies through the ages to a new audience. There are laughs on every page, but also wry, thought-provoking observations, all expressed through Gilkerson's wonderfully detailed drawings which will enthrall readers of all ages. William Gilkerson is an internationally recognized marine artist, author and historian. He is the author of the bestselling Pirate's Passage (Shambhala, 2006). 4. 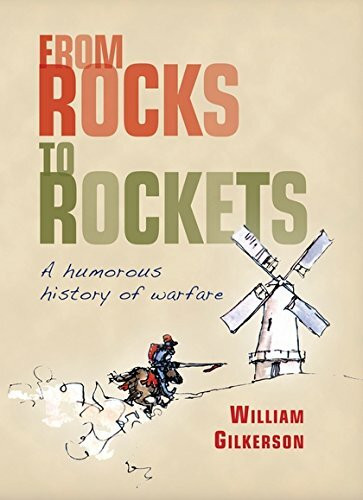 From Rocks to Rockets: a humorous history of warfare.